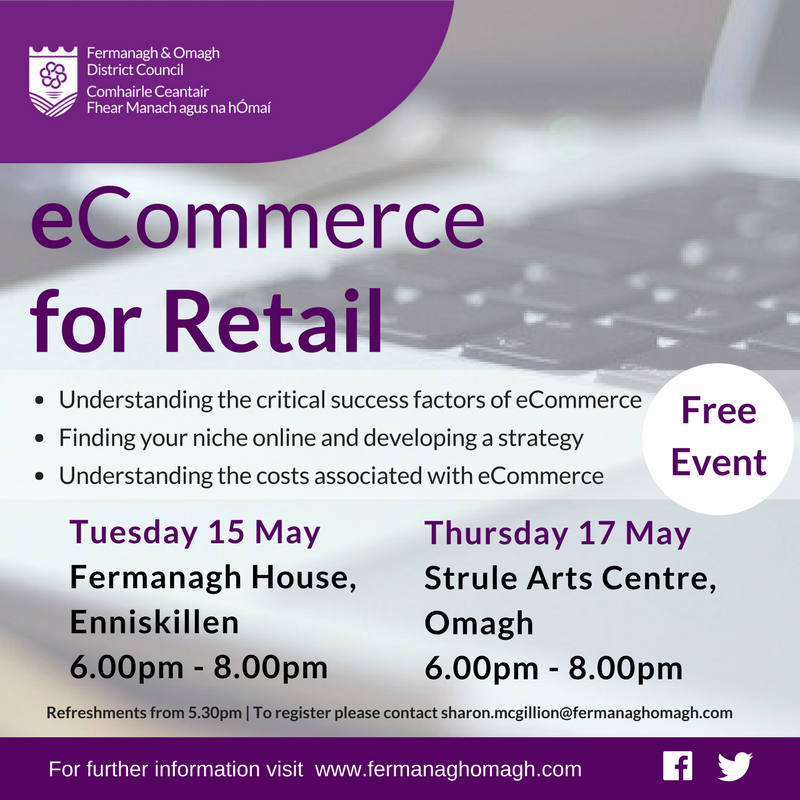 Fermanagh and Omagh District Council are hosting a free eCommerce for Retail workshop in Enniskillen and Omagh. Delivered by Mr Daryl Conway, this workshop provides an opportunity to hear real industry insight from a leading Digital expert. Daryl Conway is an award winning Digital Marketing Consultant winning the 2014 DANI Award for NI Digital Hero, Best Digital Initiative and use of Social Media at the Mid Ulster Business Awards 2014 and an NICCY web design award in 2013. 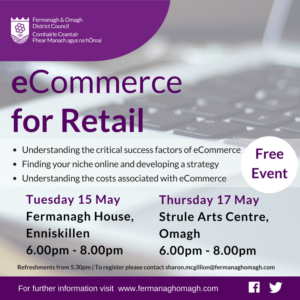 Daryl has managed and delivered some of the largest Digital Marketing Support programmes in NI over the last four years including the #optimiSE programme, Magherafelt Connected and Digital Dungannon.